SMAL SAP VI shell using the aluminum material, CNC high precision machining, drawing oxidation treatment SMAL SAP VI Headphones for IEM earbuds, traditional moving coils, moving iron ear plugs, low-resistance headphones. 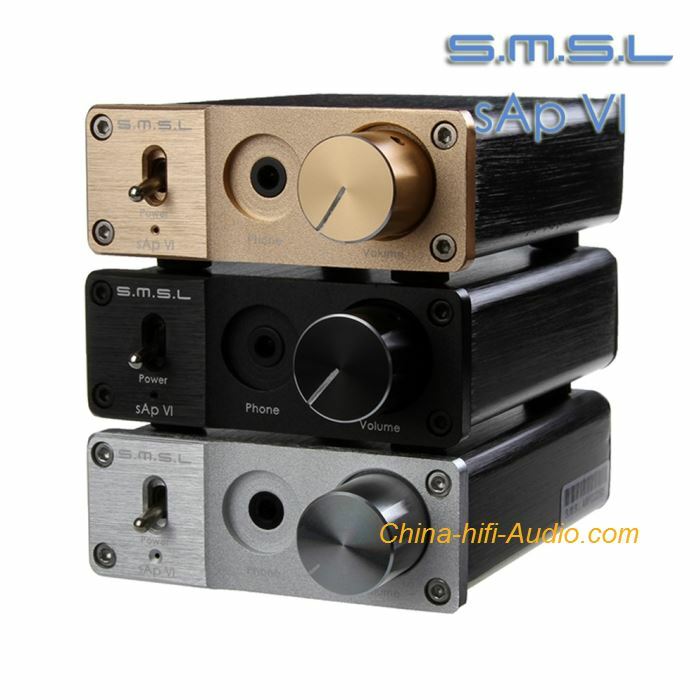 SAp VI is special designed for computer ,DVD, HD Player and MP3 etc, which can not develop headphone amp function due to their small output power. SAp VI power adapter has passed the safety test. High voltage AC3750V/5ma/60S test. SAp VI distribution AC110V or AC240V linear power supply, please note the power supply voltage,otherwise the default delivery AC240V. SAp VI shell using the aluminum material, CNC high precision machining, drawing oxidation treatment. Standard 3.5 mm input/output interface special designed for computer ,DVD, HD Player and MP3 etc.